Special report from our raving reporter. “The widening of the canal is totally unnecessary.” That was the surprising statement I heard this week from Chiriqui investor and entremanure Rocky Sludge. 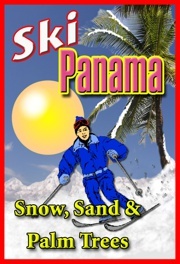 Readers might recall Mr. Sludge’s disastrous adventure into Panama’ first ski lodge on Baru Volcano. Rocky invited me to his small finca just south of Volcan where he is conducting some experiments into increasing global warming. His first statement had me rocking back on my heels. “David,” he told me, “Panama needs global warming, it will save us billions. Furthermore, If I succeed in my experiments then the widening of the canal will be totally unnecessary.” He further outlined the original idea was flawed from the beginning. 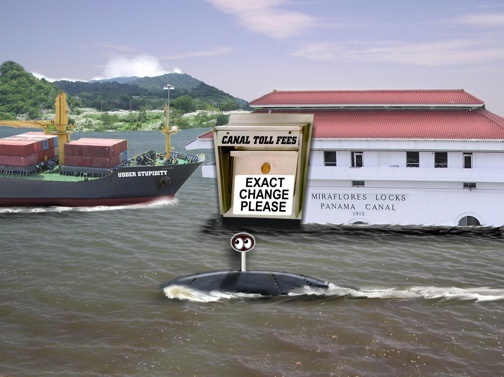 “David, we don’t need the canal wider, what we need is” . . . here he paused for dramatic effect – “What we need is the water level higher.” Rocky has discovered that cattle contribute 12% to the overall greenhouse gas levels. “To put it bluntly when they pass wind, the temperature rises. David I have calculated that if I can get my herd of Purple Angus to triple their gas output, within 3 years the water levels at the Panama canal will have risen dramatically." "The higher level will make it possible for the biggest, widest meanest ship on the planet to just sail right over the locks.” I have heard Rocky’s crackpot schemes before but this took the biscuit. “”How Mr. Sludge do you propose to do that?” Rocky said that feeding the cattle grass or grain just wouldn’t cut it so now his herd is feeding on American Army surplus, baked beans - four times a day. He admits the gas drifting up into Volcan has caused some problems, some people have needed respirators and several thousand trees have died. 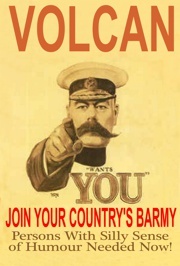 I asked if there was any evidence that temperatures had indeed risen in the Volcan area? 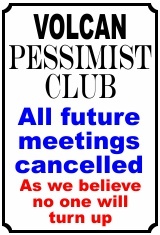 Rocky said that they have a government certified climatologist working with them. Unfortunately, the smell has him a bit under the weather, but Rocky assured me as soon as he comes out of his coma all his data would be emailed to me. Rocky has invested several thousand dollars in a strain of genetically modified Purple Angus beef cattle. These cattle are flatulence assisted rural test Angus, or the official acronym is FARTANGUS. 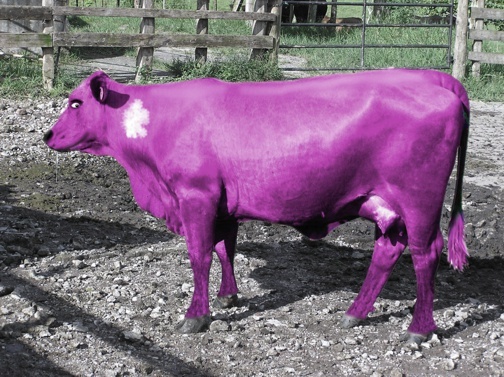 Not only are the FARTANGUS purple in color, that is also the color of their meat. I was astounded. “How on earth do you sell purple beef?” Rocky smiled as he told me was unable to keep up with the huge demand for his purple beef because it has become overwhelmingly popular in the . . . Gay community. This was ridiculous in the extreme but I decided to hear Rocky’s proposal to the end. My next question was how he was going to fund this crackpot enterprise. He said that he met some Colombian businessmen who were manufacturing some sort of natural organic product. Their recreational product was much in demand in the USA but they feared the competition might cut into their profits so they now move their products in small submarines. Rocky explained that they wanted to keep a low profile, he laughed when he said that 6 feet under the water was as low profile as you could get. I spotted the flaw in this otherwise bold venture. “Rocky my old friend if the ships can just sail over the locks how will Panama collect its toll money?" Flatulence Assisted Rural Test Angus. With my most condescending of voices I asked Rocky if he had thought this scheme through. Did he realize that half or more of Panama City would be inundated. Rocky, ever the impractical optimist chimed back. “David, what is one of the worlds greatest tourist attractions? Before the word “Paris” had left my lips he entoned. “Venice my dear friend -Panama will become the oceanic splendor of Central America."